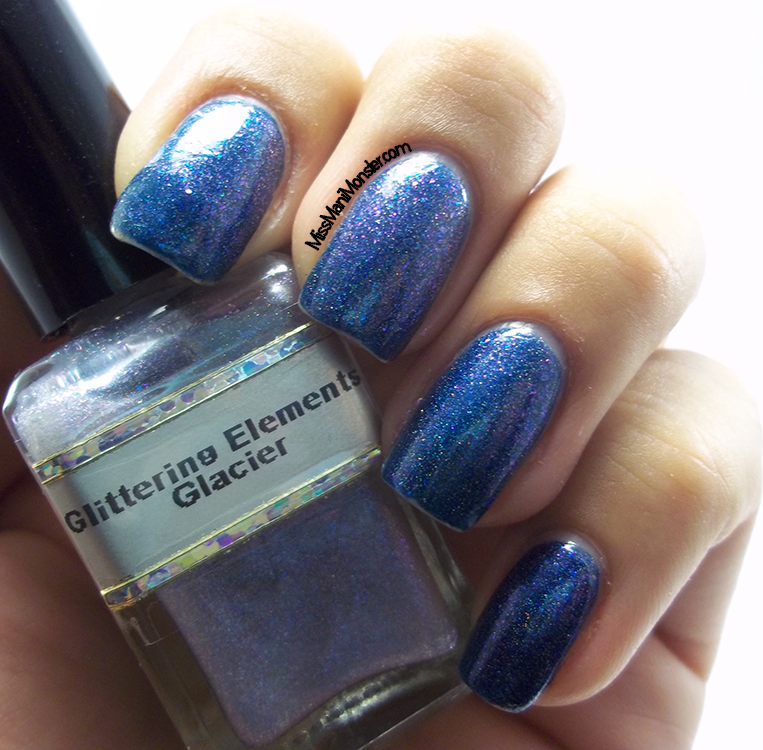 I'm so happy to be writing this review and posting these swatches of my friend Casey's beautiful, amazing Glittering Elements polishes!! 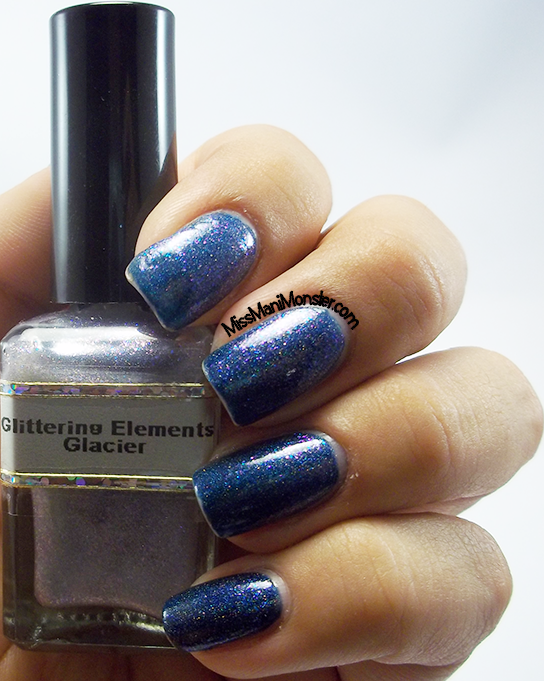 Glittering Elements is an Aussie Indie polish brand, and it is 5-free. Though Casey is based so far from here in the US, she ships to us!! Without further ado, below is Glacier, a holo topcoat with pink and blue flecks and a crystalline color shift. I'm really familiar with the effect holo topcoats have on cremes (they look INCREDIBLE) so I decided to amp this up and layer it over Lilypad Lacquer Deep Blue Lagoon, a navy blue holo. 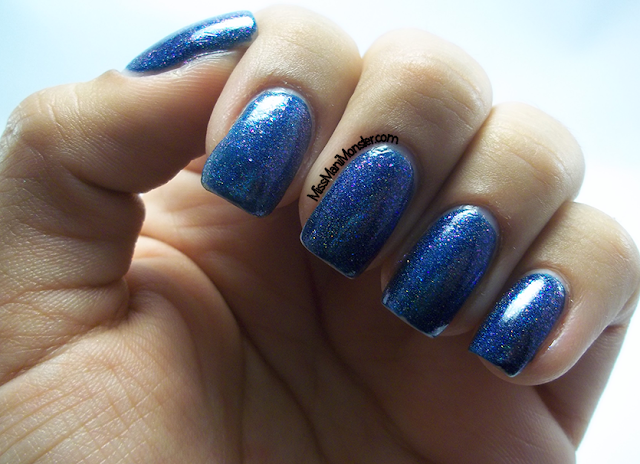 The effect of this shifting, crystal holo topcoat over a holo polish is just breathtaking! I only needed 1 coat to be pleased with the effect. 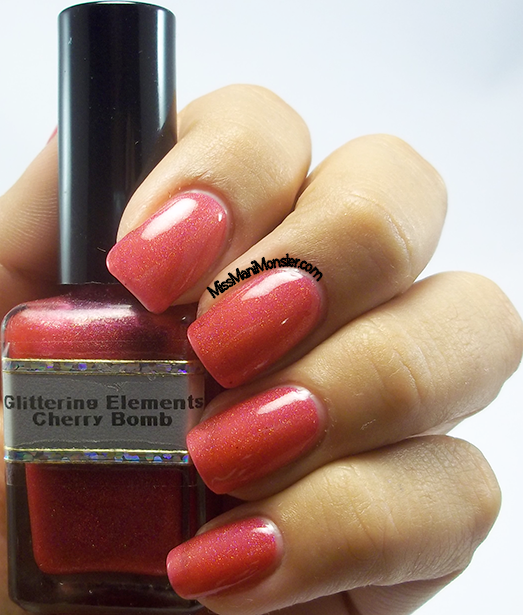 Next is Cherry Bomb, a bright red holo polish with pink and purple undertones. 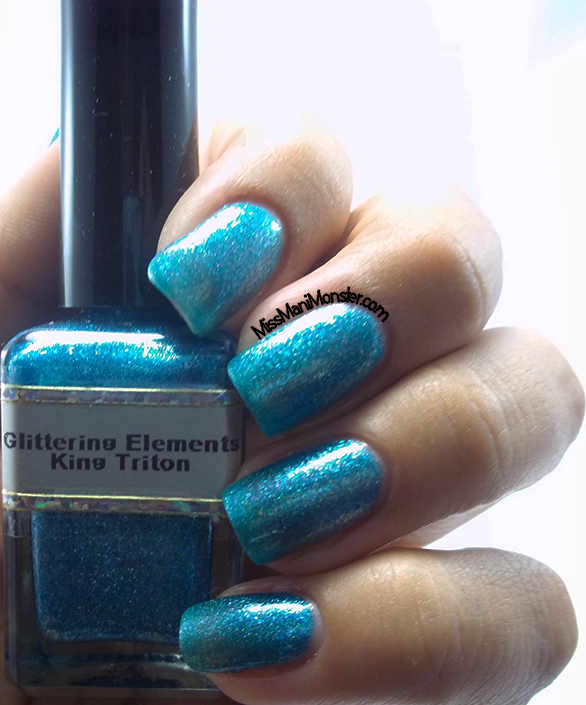 Three thin coats and I had perfect opacity! 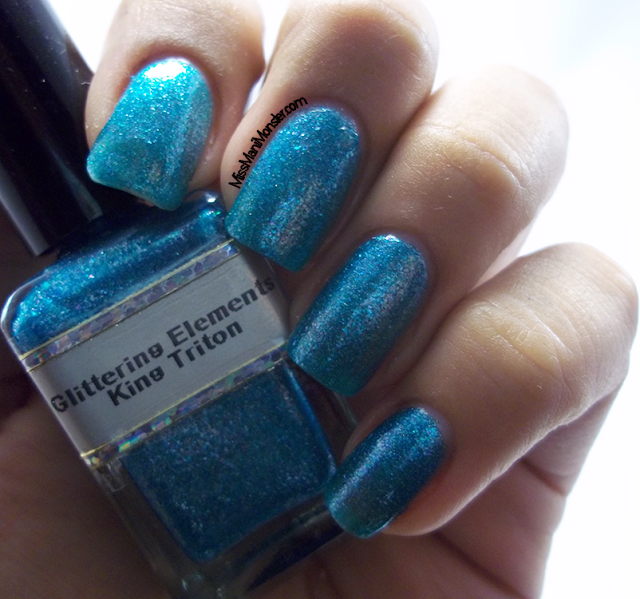 Next is King Triton, a bluish green chrome holo. What a perfect seafoam green in just two thin coats! Next is Jennifer, named after Casey's mom! 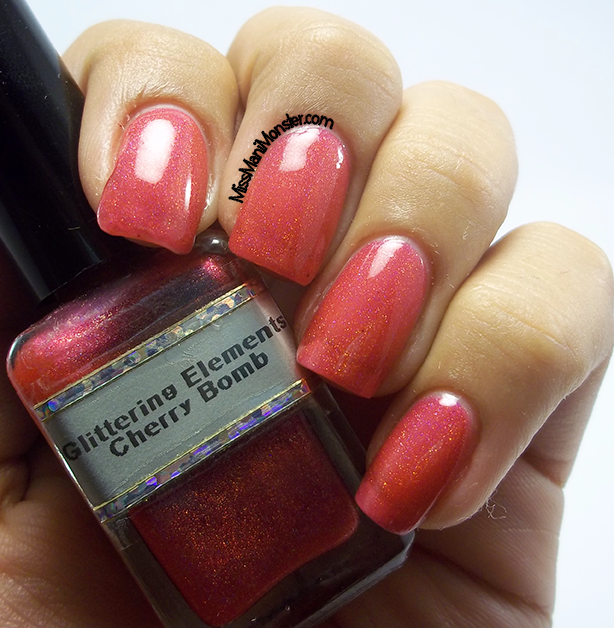 This is a beautiful, bright pink holo, and it was opaque in three thin coats. 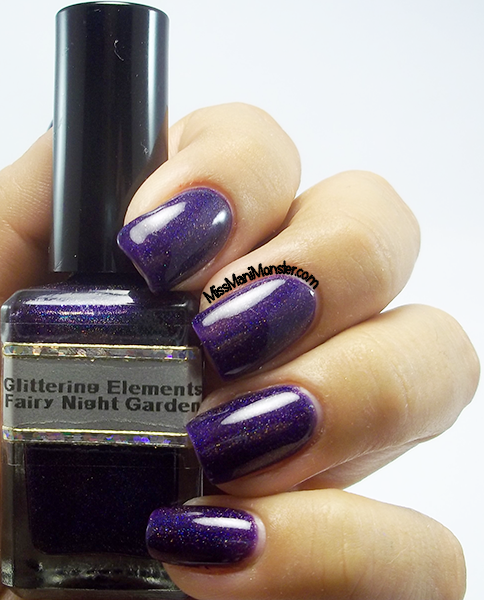 Finally is my very favorite - Fairy Night Garden. 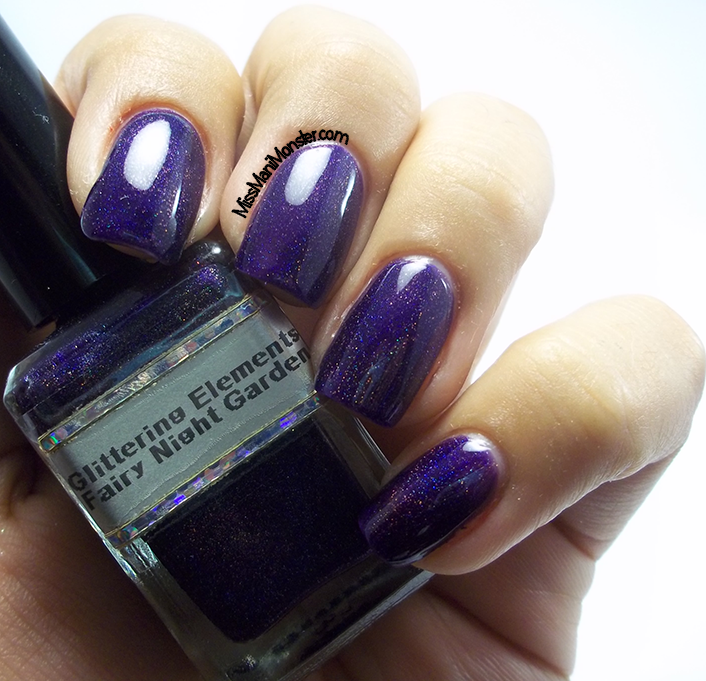 This is a stunning, deep purple holo that was opaque in 2 coats. Since it became pretty clear after about 30 seconds that Fairy Night Garden wouldn't be coming off my nails, I decided to add a little bit of nail art and stamp with Messy Mansion's MM14. I used the peacock feather design just to add a little something extra to my mani for the next few days! All of these and more amazing holo polishes from Glittering Elements can be found on Etsy, and you can keep up with new collections and restock info on Facebook! Stay tuned folks, because Casey and I have some BIG things coming up in the near future. I'll even give you a hint: if you like Vampire Diaries, you will LOVE this!! !